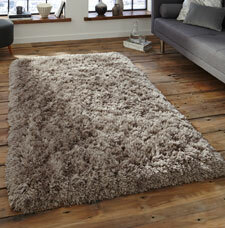 Polar is a range of sumptuously soft and super deep handmade plain shaggy rugs. The rugs feature very long yarns of 8.5 cm in length, which produces a very lush surface with that sinking feeling underfoot. In addition, the collection features a range of trendy and hip colours suitable for any room setting and offered at great value.